Being an Australian, oblivious to European museum custom, I scheduled my 24 hours in Brussels on a Monday, which meant that I had to say goodbye to the Horta Museum for art nouveau nerding out, goodbye to the music museum, goodbye Royal Museum of Fine Arts (all of them), meaning I was essentially left with a full day to just wander (while frantically googling stuff like 'Top 10 Things to Do In Brussels NOT INVOLVING ITS TOURIST ATTRACTIONS'), soak in the atmosphere and take photos as best as I can. Oh, and basically walk the entirety of the city just to try Maison Antoine's frites. A foodie's gotta food, right? What is a city when you remove its tourist attractions? 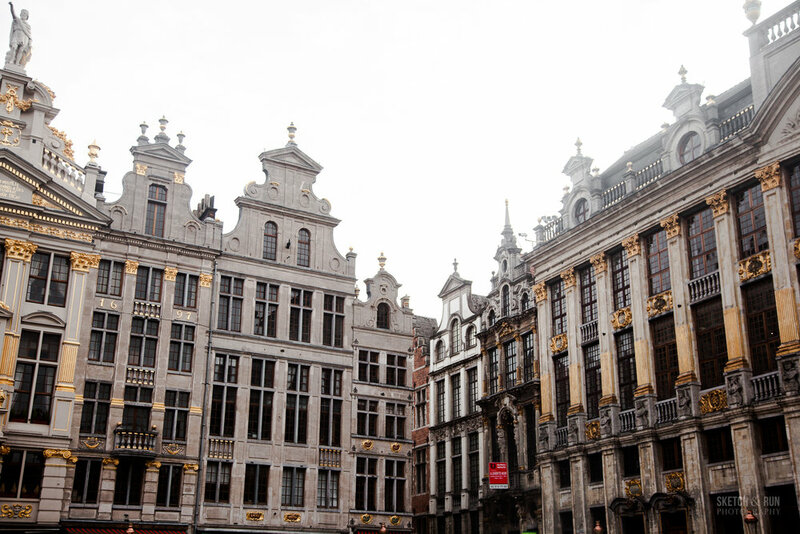 Brussels felt like a city in the middle of perpetual construction, which was a familiar feeling after years of the George St upgrade, a city of wear and tear. But ultimately Brussels was architecture for me -- a mix of intricate gilded gold design in a little pocket at the centre, picturesque cobblestone streets right out of a storybook, graffiti and street art on reverse sides, parks scattered like oasis pockets between grand palaces and art nouveau buildings I hunted down by walking through street after street of quietly residential apartments. There are some cities like Paris or Tokyo where it's hard to imagine people living normal lives just jogging through the Louvre or wandering Takeshita-dori in Harajuku just because it's Thursday. 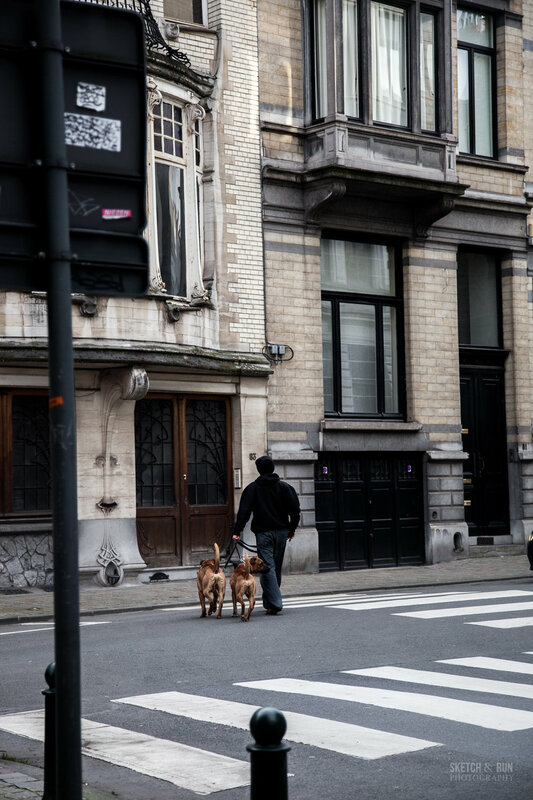 Brussels feels much more 'homely', a city that doesn't pretend it doesn't have those days of vegging out on the couch in a hoodie. Not the most exciting city in the world when its museums are closed, but calmer, even a little comforting. Oh, and Belgian potatoes are something else. Belgian frites: Maison Antoine may be most well-known (and generous with their portions) but I would not have gotten their tartare sauce. Friterie Tabora was my favourite and also happens to be much more conveniently located, right next to the Grand Place. The crisp coating was so crunchy, the fluffy potatoes out of this world. The closest thing I can compare the experience to was when I had lightly stir-fried fresh shiitake mushrooms for the first time after a lifetime of eating the pre-dried-and-then-soaked-in-water version. I don't know how a potato can taste alive but they...were. I got my frites with their special sauce and it was glorious and I am ruined forever. Belgian waffles: Sorry, you've been duped by the cover. My secret is that I love the aesthetic but not the taste of most waffles - mainly because I really don't like whipped cream or have much of a sweet tooth for too much Nutella/sweet syrup (sorry, not sorry!). So all I wanted to do was try a plain sugar waffle, fresh and piping from the maker. Le Funambule did that for me - a deliciously sticky crunch on the outside, with a bonus slushie soda for only 2 euros, and that was good enough. It's also right next to Mannekin Pis so you're killing two tourist birds with one stone. Belgian chocolates: I am a picky chocolate eater and would be content to just eat my favourite hazelnut praline for the rest of my life, no bells and whistles (Guylian chocolates are my favourite supermarket chocolate by a long mile. Lindt whomst?). So of course I had to drop painful amounts of Euros for a handful of hazelnut pralines (and some friends) from the most popular chocolate boutique chains you'll find in Brussels....for SCIENCE, aka. the Great Hazelnut Praline Chocolate Contest, eaten over several days though it was so damn hard not to do it all at once. Verdict: Frederic Blondeel's hazelnut praline was a ganache and objectively the superior one because of the smoothness, creaminess and vivid flavour of its praline (everything, including the chocolate casing was more refined and just melted in your mouth). Leonidas' hazelnut praline was my overall favourite because I liked the texture of its praline more, or perhaps it just reminded me of Guylian - slightly coarser, more 'substantial' in the mouth. 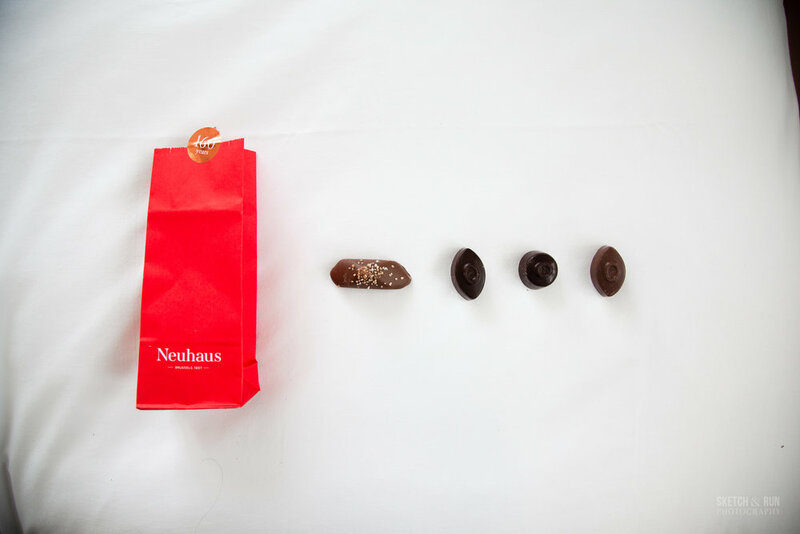 Pierre Marcolini requires you to buy a minimum weight of chocolate but none of the other stores do (Neuhaus had good flavour in its hazelnut praline but the chocolate casing was too thick and sweet so as to overpower the praline flavour).